It is more cliche goth / todays emo, not meaning it's bad. you can see the Emilie parts of it, i just feel it's a little too ott to be Emilie. but also i believe you very much like he are so much better looking without it, and i envy how easy you make applying eyeliner to the top lip, i'm so bad at it lol. I agree with Mi.ezekatze. It's...just not Emilie. 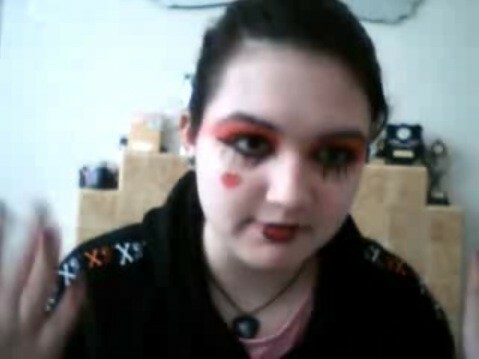 Emile Autumn INSPIRED Make Up. It's her take on it. I wonder what Emilie would say seeing this... Sorry, but this isn't her at ALL! your awsome at making vids! great job!